There were two makeshift hospitals west of PTK in the first No Fire Zone. The ICRC records the one at Vallipuram being hit by a shell on the 21st, with two shells exploding in the hospital compound on the 22nd. It also records the other hospital being hit by a shell on January 24th with another shell exploding at the proximity of the hospital compound. Though the ICRC was actively present in the area, its report of casualties in the second case was not an eye witness account but based on what ‘hospital authorities’ said. 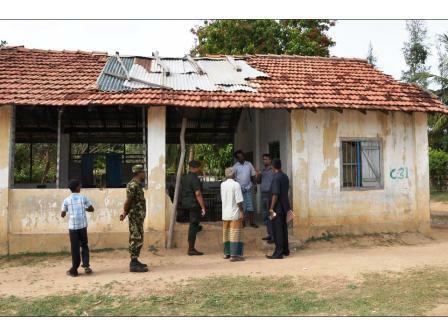 There is plenty of evidence that these hospitals were used by the LTTE for firing on the forces. In such a context, harm to the hospitals or hospital premises on just one or two days shows remarkable circumspection on the part of the forces. 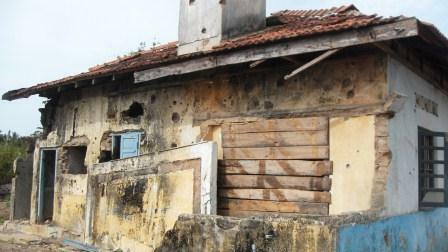 It should also be noted that the Udaiyaarkadu hospital shows almost no signs of damage, except to a tiny room at its western corner, which is unlikely to have housed patients. Inhabitants of the area claimed that this damage was done after the hospital had been evacuated. This was the largest hospital in the second No Fire Zone. There is no record of the ICRC indicating its location to the forces, unlike in the previous cases. The information may have been conveyed verbally, but it is odd that a fax was not sent as was done for the other hospitals. This hospital was allegedly hit on February 9th and then again on March 26th, with no damage in between. The hospital continued to function until on April 20th it was claimed by TamilNet that that the patients were ‘forced to run away’ when Rocket Propelled Grenades hit the hospital. That however was the date on which there was a mass exodus of civilians and the LTTE retreated southward, so there were other reasons too for the hospital being abandoned. 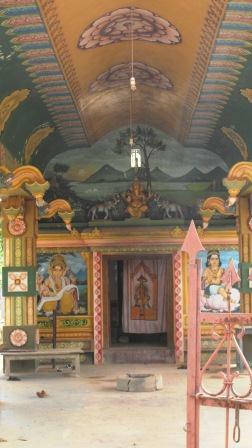 Rajiva Wijesinha at Valayanmadam church which was used as a hospital - July 2011. There is no allegation of any hospital here being hit, though it is claimed that a medical store there was damaged on March 10th. There is nothing more until April 22nd when a doctor and seven others were reported killed. The State Department report records this incident on April 1st . In a repetition perhaps of what had happened at PTK, the report notes that ‘the LTTE wanted civilians to move south to Mullivaikkal. The civilians refused’. 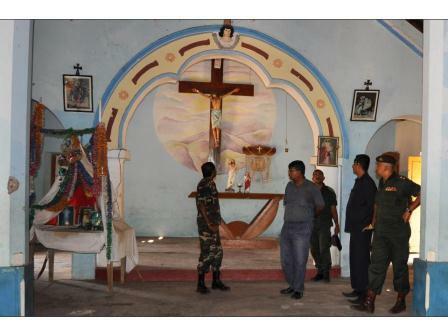 Both this report and UTHR indicate that a shell that hit the church at Valayanmadam, which was the main building in the complex that seems to have been used as a hospital, was fired by the LTTE. There seem to have been two hospitals at Mullivaikkal, though there is no trace of the situation of either of these having been conveyed to the forces. The TamilNet narrative suggests that it was the second that functioned at a junior school, but that seems to have been the main hospital. The second hospital, as indicated by the photograph in the US State Department report, was a small house, which can be identified by the mass of medical equipment that still lies there. The first allegation TamilNet made of civilian deaths at a hospital in Mullaivaikkal was on May 2nd. 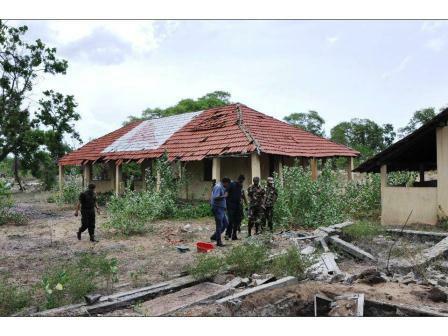 Tamilnet claimed then that ‘The attack has taken place, after the Sri Lankan military was provided with the exact coordinates of the hospital premises three days back through the ICRC’. The article was accompanied by a photograph of what are claimed to be two dead bodies on the ground, while the shelves above them are full of undisturbed bottles. 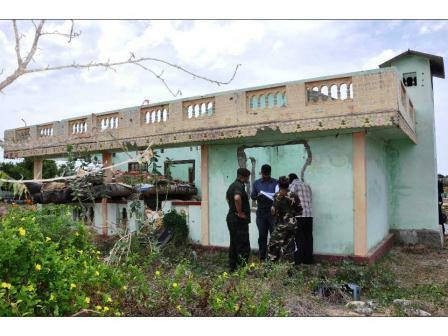 Tamilnet claimed then that ‘A medical staff who coordinates with the ICRC confirmed providing the coordinates of the hospital to the Sri Lankan defence ministry three days ago when the hospital was attacked last time’. The forces have no record of any information about this from the ICRC. An earlier article, on May 1st, claimed that the hospital ‘came under attack on previous two days’ though there were no allegations of deaths then, nor in the May 2nd allegation of the previous attack on the hospital three days earlier. Tamilnet claimed the second hospital at Mullivaikkal was functioning by May 9th, but the first allegation that the place was attacked came only on May 12th, The claim is that one shell fell in the hospital, killing ‘at least 47 patients’ while other shells only hit the area, ‘including one that landed 150 yards from the hospital’. The same incident was reported again and again, stressing the death of an ICRC worker, though in fact the ICRC confirmed that the gentleman was not in the hospital when he was killed. Any death in a hospital arising from shelling is tragic and much to be regretted. But the paucity of strikes on the several hospitals the LTTE set up during this period suggests that there is no substance whatever to the concern or the contention that the forces deliberately targeted hospitals, far less that they did so systematically.